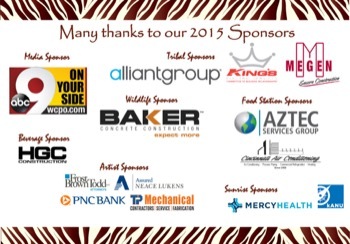 Evans and Cathy Nwankwo and the NUWAY Board of Directors invite you to experience ‘BIANU – a coming together’ held at the Cincinnati Zoo & Botanical Garden. This year marks our 10th anniversary and promises to offer a brand new cultural experience. 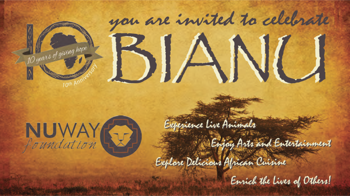 Enjoy authentic Nigerian cuisine as you have dinner by the bite in the Zoo’s African Exhibit while listening to African musicians and viewing original and unique works of art that will be available for purchase. Thayne Maynard, Executive Director of the Cincinnati Zoo, will be presented with the 2015 International Bridge Award. If you would like to be a sponsor or purchase a block of 10 or more tickets please contact Cindy Griffin at the phone number below. Attire: African or Dressy Casual. Much of the event is outdoors, so please dress for the weather. Comfortable footwear is suggested.